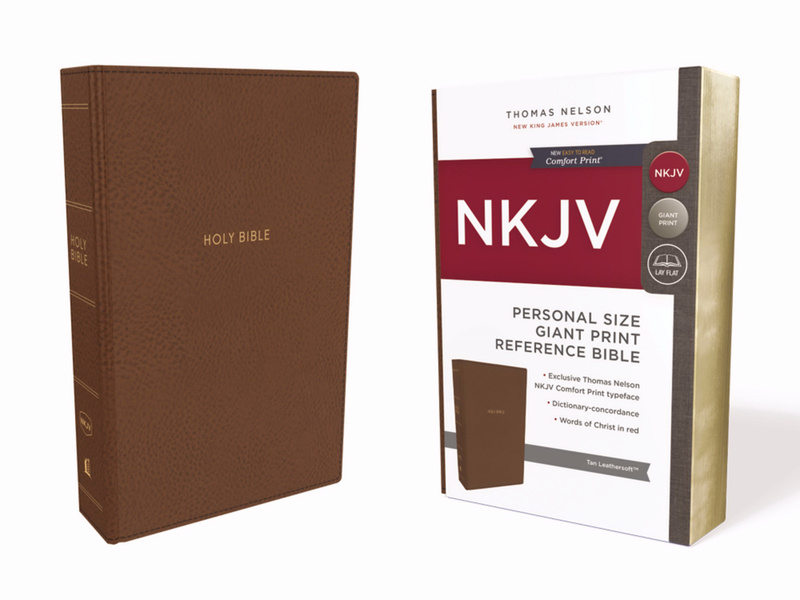 NKJV, Reference Bible, Personal Size Giant Print, Leathersoft, Tan, Red Letter Edition, Comfort Print by Thomas Nelson was published by Thomas Nelson in June 2018. The ISBN for NKJV, Reference Bible, Personal Size Giant Print, Leathersoft, Tan, Red Letter Edition, Comfort Print is 9780785216841. Be the first to review NKJV, Reference Bible, Personal Size Giant Print, Leathersoft, Tan, Red Letter Edition, Comfort Print! Got a question? No problem! Just click here to ask us about NKJV, Reference Bible, Personal Size Giant Print, Leathersoft, Tan, Red Letter Edition, Comfort Print.